Moisture and instability associated with a trough system continue to generate cloudiness, shower and thunderstorm activity across parts of the region and Dominica today and is expected to continue, the Dominica Meteorological Service reports. The Met Office warns residents in areas prone to flooding, landslides and falling rocks to "exercise extreme caution as grounds are already saturated due to previous rainfall activity. A flash flood warning is in effect". Moderate sea conditions are expected during the next 24 to 48 hours with swells peaking near 8.0 feet. Small craft operators and sea bathers, particularly on the east coast, should continue to exercise caution, the Met Office has reported. 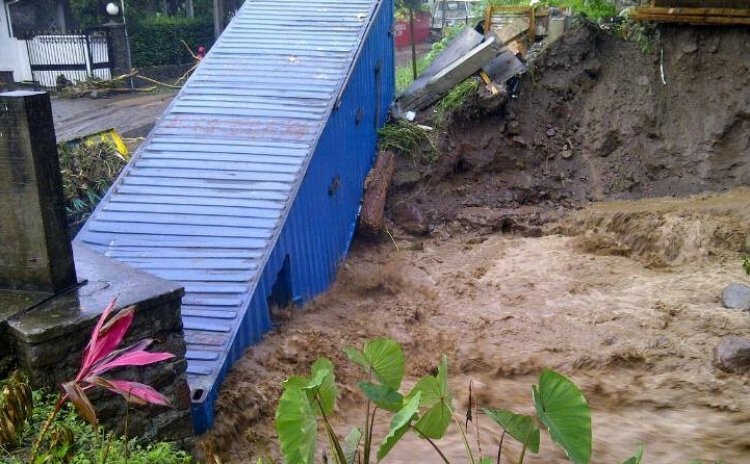 There were reports of widespread flooding around Dominica.